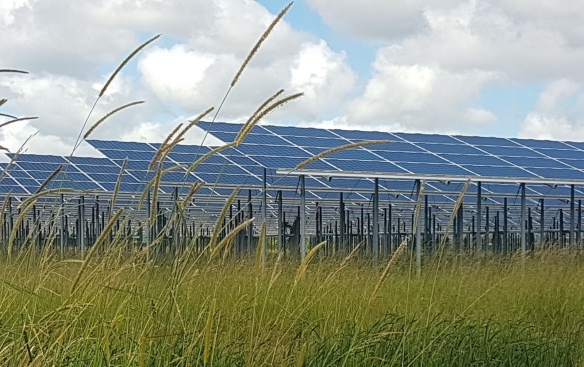 Enhar can be your one stop solar farm development consultant in Australia, by providing site identification, land acquisition, design, grid connection approvals, planning permit approval, and project management for utility scale solar developments. Significant regions of Australia have excellent solar resource, within these regions we identify suitable substation and line capacity locations to build strategic site porfolios. We assist solar farm developers develop sites through grid capacity review and GIS mapping of suitable areas. We provide land acquisition negotiation services and provide technical project design and development services. Our team of electrical engineers design both low voltage and high voltage project components, and can provide concept designs for planning permits, plus detailed design for grid applications. Click here for our solar farm grid connection application services. Enhar can provide independent technical advice at each stage of the project development along with technical due diligence on solar farms in Australia. We assist landowners with suitable land for a solar farm by linking you to suitable solar developers. We prepare site prospectuses to assist landowners maximise their opportunity with solar developers. We can offer financial and business modelling for landowners aiming to invest in their own solar farm, along with development services.